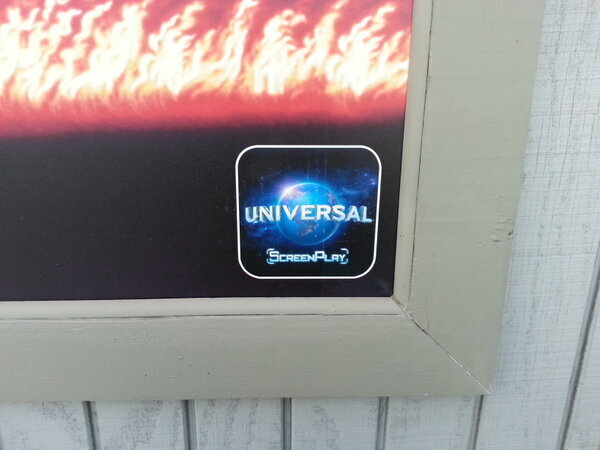 Parkscope: Universal ScreenPlay: New App coming for Universal Parks and Resorts? Universal ScreenPlay: New App coming for Universal Parks and Resorts? So over the weekend some new posters were hung up on the multitude of construction walls in Universal Studios Florida. 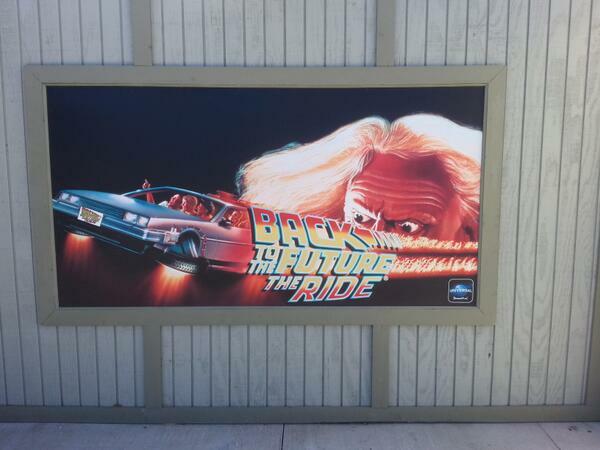 They are slowly replacing the Universal 100 posters with new ones celebrating the theme park's past and future. Posters include Back to the Future the Ride, Jaws, and Transformers the Ride. You can see the Back to the Future one below. What's even more interesting is the logo at the bottom right of the poster. Here's a closer view. Universal ScreenPlay? What is that? Well, thanks to some intrepid investigation from our very own Michael, we've found that it is a new trademarked term that is most likely for a new app for Universal Orlando Resort, and possibly even Universal Parks and Resorts as a whole. Some of the verbiage of the trade mark is quoted below. "IC 009. US 021 023 026 036 038. G & S: Computer application software for mobile phones and wireless devices, namely, interactive software for searching, compiling and organizing information related to amusement park attractions and entertainment information; shortcut software application for mobile, wireless, portable and handheld electronic devices related to amusement park attractions and entertainment information"
So, it looks like Universal is getting ready to roll out a new app, and honestly it's about time. The one they have now is really, really bad and is consistently thought of as the worst theme park app out there. Hopefully this one can match the wonderful My Disney Experience from Disney. Another interesting thing to note is that wireless devices are mentioned in the paragraph above, meaning the parks and surrounding area will need wireless internet. Hopefully the signs come to life using Augmented Reality when you point your camera at them! New EPCOT Attraction for 2015?